Creates a soft flash light from the system flash. Easy to install on the flash. Product model: E70110. 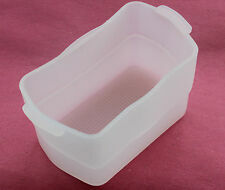 JJC RSB Series Rectangle Soft Box is made of high quality polyester material. It is universal for most portable flash units. 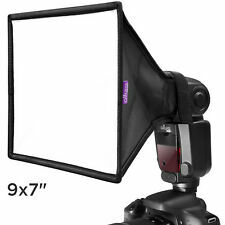 The Rectangle Soft Box can soften the light and reduce the shadows in shooting. Strobist 'Pro Compact' Filter Set: 25 x Filters £8.90. Strobist 'Pro Starter' Filter Set: 15 x Filters £6.90. Strobist 'Pro Ultimate' Filter Set: 40 x Filters £12.90. 40 x large sized Strobist Filters as above: approx. Universal Soft box that fits most shoe mount flashes. Reduces reflected light from reflective surface when using bounce flash. Fits most shoe mount flash. Create soft effect for direct flash. Stative & Zubehör. Sehr hochwertiger, absolut passgenauer und bruchsicherer Blitz-Diffusor. Canon Blitzgerät 420EZ / 430EZ. Harte Schatten und störende Lichtreflektionen gehören von nun an der Vergangenheit an. DiffuseiT Regular 100mm x 100mm DiffuseiT Discreet 70mm x 70mm DiffuseiT Regular and Discreet. New to the DiffuseiT family is the Discreet. Why shoot direct flash when you can DiffuseiT! DiffuseiT is a vari-angle flash reflector/diffuser designed from the ground up to eliminate the harsh shadows normally associated with flash photography. Product model: JJC FC-26b Flash Diffuser for Canon 430EX, 430EX II. The JJC White Diffuser improves the image quality when using a flash unit via better distribution of light and a soft, even illumination. Unlike others which use Velcro to attach to the speedlite these are held to the speedlite with an elastic band(2 included) making it quick and easy to add and remove from the speedlite.No horrible Velcro left on your speedlite when not in use. Compatible with Nikon SB-50DX, SB-80DX, SB-800. 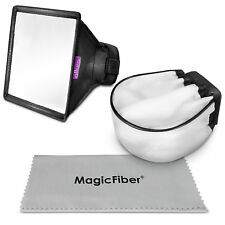 Provides soft, diffused light for your speedlight. Ne soyez pas obligé d'investir dans un flash externe. a placer dans la griffe flash de votre appareil photo. Nous pouvons ainsi vous garantir que vous serez satisfait. Es fehlen die Klettaufkleber für das Blitzgerät, die Klettverschlüsse am Lumiquest sind neuwertig. Ca. 20x16 cm große faltbare Softbox. 3 diffusers to soften, warm and cool light. Release built in flash and mount the diffusser to match the height of the flash lens. 1 x set of 3 colour diffusers with hot shoe mount. Light weight and easy carry. Flash diffuser for Yongnuo YN600/560 Flash Speedlites. Strobist 'Pro Compact' Filter Set: 25 x Filters £8.90. Strobist 'Pro Starter' Filter Set: 15 x Filters £6.90. Strobist 'Pro Ultimate' Filter Set: 40 x Filters £12.90. Saturate existing colours - Enhance tonality of skin - Warming effects. 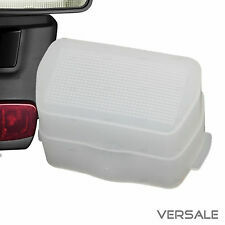 This Visual Echoes Fresnel Lens is a replacement part for all Visual Echoes Better Beamer Flash Extenders. The fresnel lens panel gets positioned in front of the flash. It focuses and concentrates the light to a narrow beam. Convert your shoe-mounted flash into a diffuse ring light with theRingbox fromVello. It is compatible with most DSLR and flashes since it attaches to your lens with adjustable elastic cords in the center opening and secures to the flash head via a strap with hook-and-loop fasteners. Interface: Universal Cloud Lambency Flash Diffuser. Model: Universal Diffuser. Nikon Speedlite SB-600 SB600. 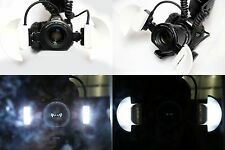 To use the diffuser place it flush against the front of the Speedlites lens and flash through it, thus the light will pass through the diffuser creating an even density over the whole subject area. We do not cover this expense. We will cover the difference! Not sure if this is the correct item?. As pictured. The NEST MiCRO is designed to slip over your Sony Alpha a6X00 series pop-up flash a6000, a6300, a6400, a6500. For Sony Alpha a6X00 Series Pop-up Flashes a6000 a6300 a6400 a6500. The NEST MiCRO softens harsh light, reduces shadows and gives you a beautiful result with just your built-in pop-up flash. Um störende Blitzreflexionen und harte Schatten zu verhindern, sollte man, besonders in der Portraitfotografie, einen Blitzdiffusor verwenden. Universal Blitzdiffusor Reflektorkarte silber-weiß für Aufsteckblitze. Product model: Diffuser for Canon 600EX. For Canon 600EX-RT flashgun. This Pixel White Flash Diffuser for Canon 600EX-RT is used to create exposures of even density over the entire surface of the subject being photographed. Model: Light Beam. Material: cloth. OMBRELLO DIFFUSORE ARGENTO 84 cm. 33" UNIVERSALE OMBRELLINO. Ricorda di aggiungermi all'elenco dei preferiti ! Dai un'occhiata alle mie inserzioni ! Blitz Diffusor / Softbox. 1 Blitzdiffusor weiß für Canon Speedlite 430EX / 430EXII. geeignet für Canon Speedlite 430EX und 430EXII. erzeugt weiches und gleichmäßiges Licht. sorgt für eine gleichmäßige, neutrale Ausleuchtung. TheVello Universal Bounce Diffuser is designed to increase the quality of light from your shoe mounted flash unit. The Bounce Diffuser creates a soft diffused light with soft shadows. 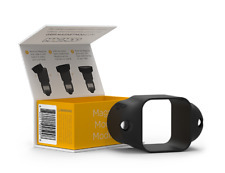 It fits most shoe mounted flash units, and is held in place with the built-in elastic band. Durch flexiblen Gummizug nahezu an allen Blitzgeräten verwendbar. Blitz Diffusor / Softbox. verhindert harte Schatten. 1 Blitzdifussor weiß (Stoff). erzeugt weiches und gleichmäßiges Licht. sorgt für eine gleichmäßige, neutrale Ausleuchtung. Fits Canon Speedlite 580EX II. Provides Warm Flesh Tones Outdoors. Corporate accounts and large quantity orders can be accommodated. Call for more information. Limited 1-Year Warranty. Diffuses Light from Direct Flash. The Pocket Bouncer enlarges and redirects light at a 90Â° angle from the flash to soften the quality of light and distribute it over a wider area. A&R Professional Flash Pocket Bouncer, Dust blower, cleaning cloth. SUPERIOR PORTABILITY – Slim and lightweight, this professional light diffuser provides soft bounce lighting for amateurs and professionals. Die Streuscheibe stammt aus einer Geschäftsauflösung und ist neu und unbenutzt. 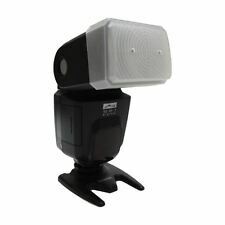 Diffuseur photo Sotfbox pour flash cobra. a placer sur votre flash externe de type cobra de votre appareil photo. This is squeezable, a bit stretchy diffuser suitable for most of the flash guns, like Nikon SB600/SB800/SB900/etc., Canon 430EX/580EX/etc. Made of Silicone. Colour: Orange. 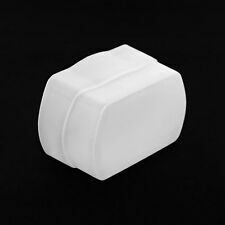 Easy to use, and possible to squeeze and keep in small pocket, so, excellent for travel, and wedding photographers.